In a bold move that may well foreshadow his long-awaited Middle East Peace Plan, President Trump announced Thursday that the U.S. will “fully recognize” Israel’s sovereignty over the Golan Heights. 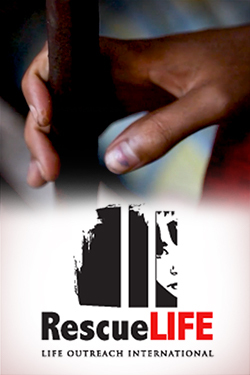 Israeli Prime Minister Benjamin Netanyahu immediately celebrated the decision. Purim is a Jewish holiday commemorating the saving of the Jewish people from Haman, who was plotting to kill all the Jews in ancient Persia. (The current-day Iran.) We find that story in the Book of Esther. The Golan Heights, a volcanic plain 1,650 feet above the Sea of Galilee, is a strategic strip of territory on the border of Israel and Syria. From this perch, Israel’s enemies would be able to rain hellfire down on the Jewish people. Israel gained the territory from Syria during the Six-Day War in 1967. 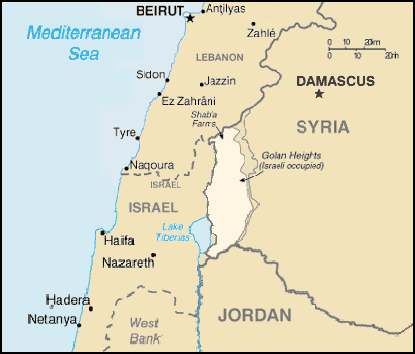 The Jewish state annexed the Golan Heights in 1981. Previous administrations have referred to the Golan Heights as “occupied” territory. However, last week, as the Times of Israel reports, “the State Department dropped the phrase ‘Israeli-occupied’ from the Golan Heights section, instead calling it ‘Israeli-controlled.” Speculation had been that Trump would make an announcement recognizing the Golan Heights during Netanyahu’s trip to the U.S. next week. Instead, the announcement came as Secretary of State Pompeo is in Israel. 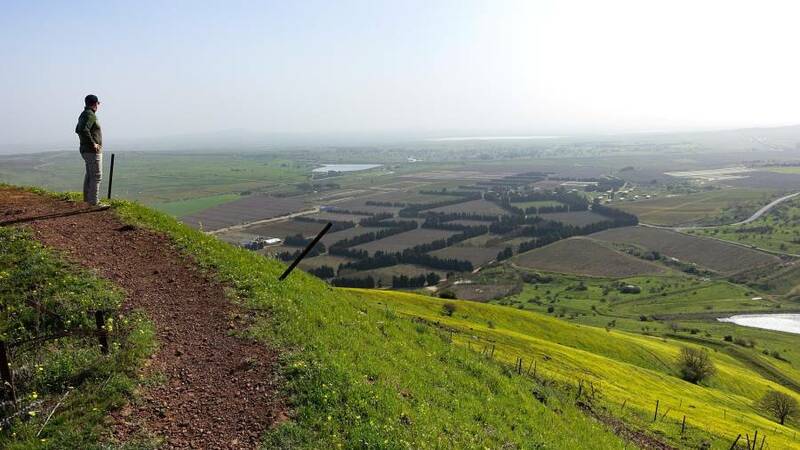 Although the Golan Heights was made part of Syria with the creation of the Syrian state in 1918, the plateau has been fought over for many millennia. Moses gives this account in Deuteronomy 3 of the defeat of King Og of Bashan. The Lord our God helped us destroy Og and his army and conquer his entire kingdom of Bashan, including the Argob region. His kingdom had lots of villages and sixty towns with high walls and gates that locked with bars. We completely destroyeda]”>[a] them all, killing everyone, but keeping the livestock and everything else of value. Sihon and Og had ruled Amorite kingdoms east of the Jordan River. Their land stretched from the Arnon River gorge in the south to Mount Hermon in the north, and we captured it all. Mount Hermon is called Mount Sirion by the people of Sidon, and it is called Mount Senir by the Amorites. We captured all the towns in the highlands, all of Gilead, and all of Bashan as far as Salecah and Edrei, two of the towns that Og had ruled. Today’s announcement comes as anticipation mounts for the expected roll-out of the President’s Middle East Peace Plan. Trump says he won’t reveal the plan until after Israel’s election April 9. Trump and son-in-law Jared Kushner, who is spearheading the effort, have been tight-lipped about the details. However, a new book out Tuesday critical of Kushner alleges to have seen early drafts of the plan.